The sweetest country farmhouse in the Catskills! Just over the Saugerties border but with lower Greene County taxes, this updated beauty offers charm and character both inside and out. The heart of the home, a wonderful newly renovated kitchen with farmhouse sink, exposed beams and room for a crowd is flooded with natural light. Not included in the square footage is a 17'x10' glass enclosed porch, good for 3 seasons of enjoyment overlooking the fenced in yard. The L shaped living room provides separate cozy spaces for fireside chats by the wood stove and entertainment/media. Two bedrooms on the second floor are also awash with sunlight. An added bonus is a finished attic/loft space measuring 16'x9' which could be used for guests, yoga, meditation. Located between the Villages of Catskill and Saugerties there is plenty do do within 15 minutes - Restaurants, movies, farmers markets, shops and galleries. 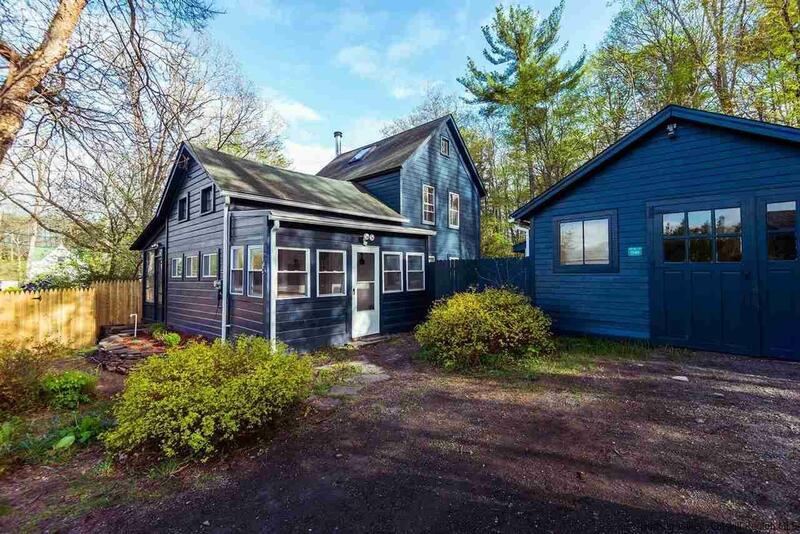 Close to skiing, swimming holes, farm stands, hiking, biking and kayaking. Come experience country living only 2 hours from NYC.